Providing boys and young families with the tools to be successful in life. Outlaws and Legends Music Fest. While working as City Commissioner of Abilene, Ben Richey was involved in an Abilene youth boxing program as well as a Scoutmaster. He began to notice through these activities how boys in the area who were without Christian role models fell into the same rut. Too often bad attitudes led to poor school performance, which turned into trouble with the law, and sometimes prison. In 1945, after being approached by Mr. Richey, the Abilene City Council generously provided 300 acres of land next to Lake Kirby on the south edge of Abilene for the establishment of a boys ranch. In 1946, Optimists International started an Abilene charter, sponsoring the Abilene Boys Ranch. With the help of Optimists International, a charter with the State of Texas was issued and a loan was granted for $2,400 to move an excess barracks building from Camp Barkley to the Ranch site, as well as pay a couple to live with the boys. This was to be the first building on the Abilene Boys Ranch new campus. 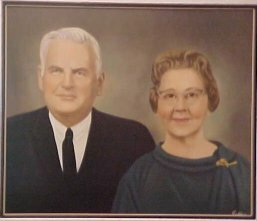 In 1947, Abilene Boys Ranch was founded and Ben Richey, his wife, Jamie, along with Mrs. Richey’s brother, Edwin Yeager, moved to the ranch. Ben Richey died in 1970 on the ranch, followed by the death of his wife in 1986. Two years later, Abilene Boys Ranch was renamed Ben Richey Boys Ranch to honor its founder. Ben Richey Boys Ranch and Family Program President, Kerry Fortune, welcomes you to the Ranch. Take a moment to read his letter and learn why your contributions count in creating a better life for those in need. In addition to donating money, we have many opportunities for you to donate time and goods. Let us know if you would like to volunteer or if you would like to donate clothing, furnishings or other items! Your donations matter. Please help those in need by clicking here for PayPal donations. Don't worry if you don't have a PayPal account, PayPal can also securely process your credit card. Copyright Ben Richey Boys Ranch © 2019 Site, Videos and Photography by Lee Kirgan.